Forecasts by Campaign and eMarketer for 2017 show continued growth by the two main digital players – Google and Facebook – over the UK’s main TV networks. Google is set to pull in £6bn next year, over a quarter of the £22bn advertising total in Britain. Facebook is forecast to make £1.4bn next year in the UK, up from an expected £1.15bn in 2016, and pass Channel 4 and Sky Media to move into third place behind only ITV and Google. TV industry figures expect Channel 4 to hit £1.35bn after the company announced a 9% increase in 2015 ad revenue of £1.17bn. Sky Media is expected to make £1.3bn this year and £1.35bn in 2017. ITV will remain in second place with revenues of £2.2bn. 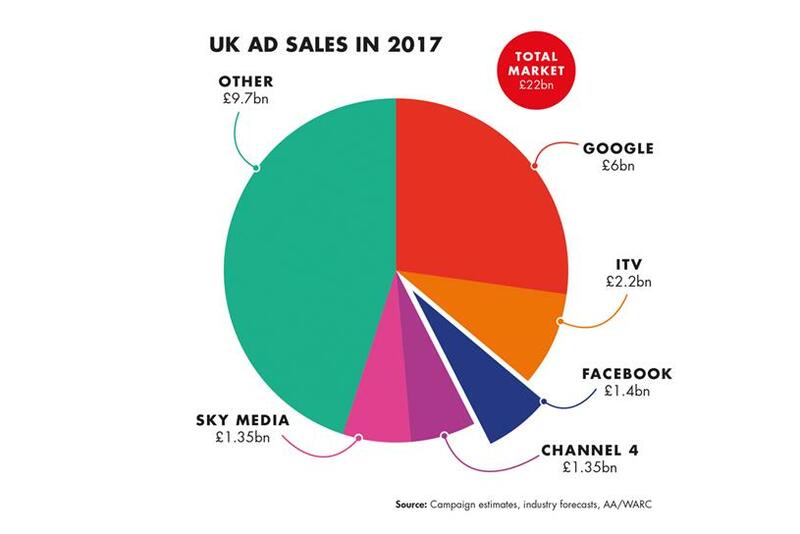 The figures show that digital’s growth over offline advertising has radically shifted the UK ad market with Google set to sell over £1bn more than ITV, Channel 4 and Sky combined in 2017. If you’re interested in learning more about advertising on the internet visit our Google PPC page or social media ads pages, or contact Ewen Angus at ewen@trinityheriot.co.uk to see how we can assist your business. Read more at Campaign here.